Who are your heroes? How can you emulate them? Today I write in honor of one of my heroes, my favorite author of all time, Gabriel Garcia Marquez. I rarely state a favorite of anything, preferring to keep the possibilities for unyielding love wide open. I find it impossible to choose a favorite color when each represents entire worlds of emotions and characteristics. Impossible to choose a favorite song as each to me evokes unique memories or inspires various actions – from dancing to painting to sitting still or writing something of my own. But years ago, I openly stated that my favorite author was Gabriel Garcia Marquez, author of masterpieces such as One Hundred Years of Solitude, Love in the Time of Cholera, Chronicle of a Death Foretold, and many others. It was after reading his glorious autobiography Living to Tell the Tale that I made my definitive statement. The book allowed us access to the brilliant, willing, generous writer’s life, from its most humble beginnings in Aracataca, Cloumbia (in a world as fantastically magical as those he created in his Nobel Prize winning works) to his rise through the country’s elite schools, bustling newsrooms and eventually to the love of his life, Mercedes. I feel I should be writing in rainbow fonts to honor his colorful life that so influenced the world through his vibrant South American prose. Please oh please tell me he had just completed the second half of the autobiography, that it began the day after he got married and that it led up to the very minute he passed away from our world. Actually, let it travel on, revealing where his fertile soul journeyed forth – likely on a blanket of admiring and wise butterflies – after he took his last earthly breath. With Garcia Marquez, that must be possible! He must still be writing, carrying us along in the new, luscious, multi-layered world that he now inhabits. He simply can not really be gone. If anyone can make me a believer in an afterlife, it would be him. For he was so masterful at revealing the multitudes of dimensions to our day to day life here on earth that it was as if he truly was from another realm equipped with 3D Vision that could see and uniquely describe things that most of us cannot –complicated, compassionate, contradictions of humankind. Through characters like Fermina Daza and Colonel Aureliano Buendia he made me want to be smarter and more creative and less concerned about outer criticism. He was a reason I obtained my teaching certificate in Spanish after earning one in English and Speech. He’s the reason I know words like lugubrious. What would he think? Would he chuckle and kindly ridicule our clunky need to honor and mimic at the same time. Our desire to hold on to or own our loved ones for fear of losing ourselves when they are gone. 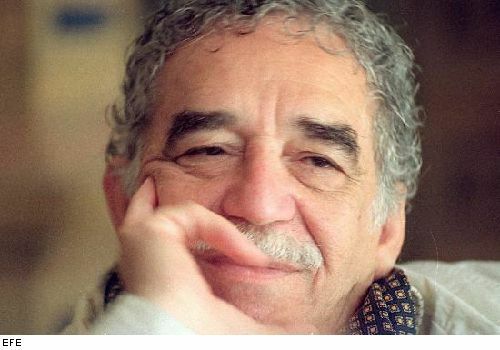 Garcia Marquez will never be gone, really, because of the magic that he truly was able to create, to reveal in our earthly reality. He lifted veils on life, and showed us our rich banana-filled, butterfly-filled, radiant flower-filled, coffee-fied, humid world and our passionate courageous violent lonely tender heroic humble silly divine selves. (And could do it with a few select words.) He did all of this with an air of authority laden with levity. He was the Master, as comfortable with world leaders as he was with kindergartners. I imagine that he felt they were one and the same. And that each could see and learn from the beauty and complexity of butterflies, if only they acknowledged they were there. If they believed they were there and pondered all that they re-present, well then, life was far beyond the here and now. And today, I must believe that is so. I never met the man, of course. But, I am so saddened to hear that he is gone. I took comfort knowing that that brilliant man, one who so adeptly shared his life – our lives – with us was still witnessing, processing, and recording our world in his magical way. Today, I feel more responsible for being brave, thorough, and creative, for humanity’s sake. Rest in Peace and Splendor, Señor Marquez. And a special thank you to Edith Grossman, who so eloquently translated his words. 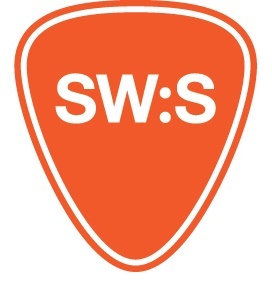 This entry was posted in Happiness Matters - The Blog. Bookmark the permalink.